Lunei is a 3rd person action rpg, set in a semi open world. We have decided to open up the development process, so we will be streaming and showcasing tech and the game as we develop it. Checkout the Game Design Document here. Everything is still pretty bare bones and will evolve as we move further along with developing the game. The game will released on PC, using the Unreal Engine. Are you perhaps looking for a writer for the gaming project ? Hi Redewaan, thank you for your interest and contact! We actually have a writer already. Ruan B has been appointed as our creative lead and is the writer for our project currently. As the project scales up, and we get more funding, we will be looking for more talent and hires. No problem pal :). Thanks for getting back to me , and all the best. Keen to see progress on this! Though the roadmap states that the playable demo will be ready in December 2022. If you're wanting feedback on this plan, honestly to me it looks a bit strange. It looks like you're not aiming for a vertical slice upon which to iterate but rather aiming to make the whole game at once. Am I misunderstanding the plan? Why I say this plan looks strange is that, as far as I am aware, the production of almost all games initially heads for an pretty rough vertical slice (or playable demo) and then iterates upon that, adding content and expanding the horizontal-ness of the slice until the game is finished. So for instance the prototype for Fallout 3 probably started with a really rough vault/starting area with some conversations, then it went outside into a large rough environment and showed combat with a single enemy type, and had one quest and one place to buy and sell items... and that would have been the full extent of the initial prototype. My understanding is that iterate-on-a-vertical-slice approach means that problems crop up quickly, rather than being 3 years in and realizing the characters are all rigged wrong for the random encounters system, or the foliage completed 2 years prior doesn't actually work with the maps you're building. Of course, if I'm misunderstanding the plan please ignore these comments. The way the production schedule is laid out appears to me to be that of tackling the tasks in order and one by one, and you seem to have some concept of dependencies in the production schedule, but what is missing is that the dependencies run the other way as well (e.g. limitations on game design will affect the lore and the writing, or the quests will requires specific new characters and not requires the characters you've already made). What I mean is that in game development production it is almost all interdependent. Hi! those are great questions. Yes, we are aiming for a playable demo by 2022. And no, it will by no means be complete. Meaning that is when our game will have enough content for further funding, and by that time we would have enough interest from the community, both here and abroad to know if we are on the right track, or what needs attention. And yes, every single task when it goes into modeling, can come out as a draft, but it does not have to, and then be pulled into the engine, and iterated upon. 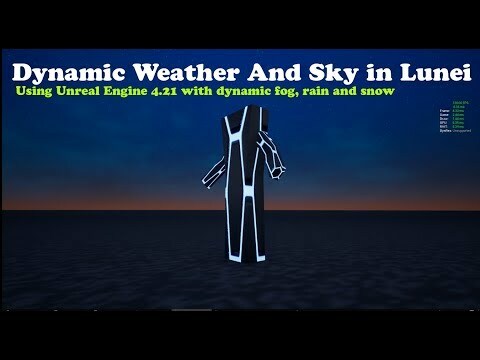 Those ( Modeling, Surfacing, Skinning, Rigging, Animation ) are cyclic processes that will be repeating throughout production for any given asset, within reason, and as we define our gameplay logic. The problem with "iterating" characters is you will have to do a lot of rework for skinning and rigging, so it is best to try and get those nailed down very quickly, no matter how good your scripts are, there is always manual work to be done on skinning and rigging, after making changes to the model. And we can not afford a full time rigger, so time and money is precious. We have to plan properly, and know what our characters must look like, we need to clearly define how our edge loops and topology must look like and follow, so that we do not have to do rework, and what rigging controls and animations we need. Luckily we have quite a bit of experience in this field already, which is why we have the design document, and quite a few internal documents guiding the animators, riggers, modelers, texture artists' workflows. But as with anything, this is still not done, and even our workflows and documents are alive, and iterate as we streamline process. There will be enough content and playable versions along the way of course, but only once we start focusing on the characters. Keep an eye out and thank you for the feedback. We do update the Road map regularly and there are also going to be plenty of demos, tech demos and at some point there will be a pre-alpha downloadable. if all goes well. We have enough ( but still *limited ) funding for the next 4 years, that's why we are not under any stress or pressure from any publishers to get something out there as quick as possible, and we can take our time and get something out we are proud of, and first of all, we would like to play ourselves. I made this plan based on over 4 years of experience in designing, developing and releasing games ( 3 commercial titles for PC, including 2 for mobile ), and plenty of tech demos and smaller games spanning further than 8 years, as well as putting in enough "fat" and breaks to make it achievable. Hence the time span. If we were a big studio, with hundreds of employees, this would take us probably about 2 years, and there would be a lot of tasks we could run in parallel, like modeling but that is not the case for us. Please also checkout our website, and keep an eye on the social media channels for the studio, we will be posting there mostly, and give an update here every now and then if something significant comes up. Apologies if I'm missing something, but I don't see any mention of actual gameplay in your plan? There are a few "Game Design" items, but these seem to be focused more on level layout and/or system interaction. At what point will you be figuring out where the fun is in the game? Thank you for the comment and question. We have started laying that out in the Design Document. Once we start "GD_071_CHAR1", we will essentially start defining, refining and implementing the main game play loop. Basically everything before that is simply world building and level design, we already have an idea what we want to do, but things will start falling in place when we are closer to the time. @alwynd Obviously you should do this your way. But I still do want to say that I'm concerned about this plan. It seems like a really big project and it looks to me like an unnecessarily risky way to develop a game like this. I've definitely got more experience making games than you, and I don't have the confidence in myself and my team to plan this far ahead and assume I'm going to nail everything first time and not have to go back and change huge chunks of development. If this were a small project I wouldn't be concerned at all. But you've laid the next four years of your game development career on the line, and I'd love for you to succeed. Thank you again for your comment and feedback Evan. Please keep an eye on the project status... at some point, things should come together nicely! Yes, we are aiming for a playable demo by 2022. We could kind just stop here and be clear: this is way too long to get your first playable thing. Like, not 10 or 20% too long, but in the order of years too long. You should try aim to have something playable within a week or two. Why? Because you'll probably realise you were optimistic about it and it'll take much longer, but then you learn that early and can adjust. If you think you really need a month, ok sure, but a year would send off many alarm bells with anyone in the industry I know. Waiting and aiming for 3 years is just a "bad idea" (tm). Luckily we have quite a bit of experience in this field already, which is why we have the design document, and quite a few internal documents guiding the animators, riggers, modelers, texture artists' workflows. Um... I hate to break it to you, but I don't think the process you've described is the industry standard you think it is. A large design doc and all the other docs at this point in the project is usually a recipe for disaster. Why? Because you don't have anything resembling a game yet - no playable prototype - so you don't know what this will become. Do some projects start out with a big design doc and go from there? Sure, but in my experience most of those tend to never materialize into anything because they have such a fixed immutable idea of what they're making, and they can't adjust to feedback because they don't have anything playable early. Most successful projects' design doc is a paragraph or two describing the concept until they have the 3rd or 4th playable version, and only then do they consider more documentation. The theme here is get something playable much earlier. This is some glimmer of hope, but having playable versions of the game much earlier than 2022 should be a critical part of your roadmap. If you want to set out a serious roadmap for multiple year, a first playable prototype should be within the first few weeks or month or two. Right, so this is the rub - you can go ahead with your plan. Nobody here can stop you, and at some point in the near future they'll probably also stop trying to give you advice if you dismiss it. But we see how your resources could be so much better spent, and we're worried and want you to not waste your time and money. We honestly want you to be successful and learn and grow. We're not trying to sabotage you. I see a team that has the resources and drive to make some awesome stuff, but is going down a path that I've never seen turn out well, and quite an extreme version of that to boot. I don't quite follow how you have 4 years exp but have worked on projects that ran longer than 8? Maybe there's a language barrier going on here or I'm just not understanding. Nonetheless, "Smaller games spanning further than 8 years" is a super interesting sentence. For context, I'm working on a game now that has probably cost millions of $ to dev (it's an international team), I'd say it's a it's a big game by indie standards, we're on our 5th/6th year for the project but we're basically 3 years behind schedule. How many years did it take us to have something playable? I think it was in the order of months, maybe less (I wasn't around right at the start). We've had something playable the entire time since I joined the project, and it's undergone HUGE changes in that time. If I told anyone at our company I was planning on working on a project where our first playable prototype was planned for years in the future, they would honestly think I was making a joke. So have you stopped to critically look at those projects you mentioned? How long did they take before having something playable? How many of them were financially successful? Have you tried to get something playable sooner? Have you considered the cost-benefit analysis of trying that approach? What we're proposing you do here with getting something playable early is a relatively low risk to attempt, it's more of an industry standard than you might realise, and spoilers: it's also a lot more fun when you can play your game early, which is super important for team morale. Wow, thank you for your opinion and feedback. We really do appreciate every bit of feedback, especially this kind of detail. And especially while it is in such an early stage. For any personal questions regarding skills and years of experience, you are more than welcome to go and look at our online portfolio, youtube channels and games currently out there. We will also gladly supply download links for any games you would like to try. Yes, this is really valuable feedback, we will certainly not dismiss anything said here. We want to foster an environment where criticism is welcome. I think the plan may be a little long, nobody will argue that point. There are many factors we considered including family time, health, taking regular breaks, and absolutely no crunch time. Also one of our team members are having a baby soon! So we have to factor that in too. The little guy needs a few months before he can start coding. I share the concern expressed by others here about prioritizing key things like this late in your cycle after pouring tons of resources into assets for which the requirements imposed by gameplay can and most likely will change. I understand the concern, I think there may also be things that are missing from the document, as it is not complete. This may very well be an unorthodox approach, and we are by no means saying this will be perfect. I think given our circumstances, it may work out fine though in the end. We will also take some time and revise all that has been said, I need some time with my team to go through the comments. This is why we wanted to open up our processes, so we can get feedback early on. The core gameplay loop will be a mixture of exploration, questing, dialogue ( npc interaction ), magic/spells and melee combat. The combat will be mostly event driven, because we are not creating an open world game, but semi open world, while telling a story. Glad you're listening to the advice given. Obviously how you proceed with development is up to you and the team. If you'd like clarification or further reasoning on any of the points brought up we're here to help. Some tech we have been working on for the game. 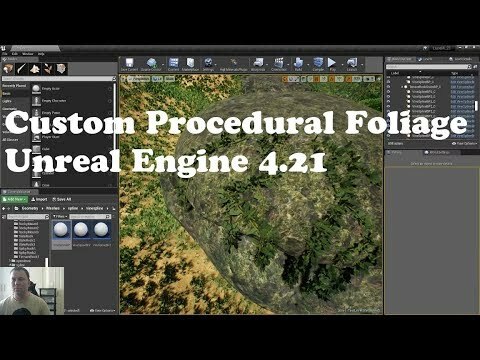 And some of our custom procedural foliage tools. These are meant to compliment the UE4 Procedural Foliage tools for spawning foliage/blueprints on specific actors.